The profile of a great leader becomes clearer as the significance of the events and dates relating to him are interpreted against the background of his times. The same is true when we reflect on the incredible achievements and personality of Guru Gobind Singh as a spiritual preceptor, poet, saint-warrior, nation-builder and a living martyr who sacrificed his entire family (sarbans daan) for his beloved Khalsa and for the freedom of his country. Just as the correct positioning of dots in a puzzle produces a clear image; so, confirming the accuracy of Sikh chronicles is the first challenge for a student of Sikh history. This article touches on some aspects of Guru Gobind Singh’s life and mission in the light of more recent research based on contemporary records. The aim is to give pointers to further lines of inquiry to show the essential continuity of Guru Nanak Sahib’s mission to the Tenth Nanak, Guru Gobind Singh and on to the Khalsa Panth. Before discussing Guru Gobind Singh’s response to the challenges he faced on being consecrated Nanak X, it would be worthwhile to understand the underlying reasons for the confusion about events and dates in Sikh history. Otherwise too, as is often said, Sikhs have been too busy making history rather than recording it! Gur Partap Suraj, popularly known as Suraj Parkash, is the magnus opus of the great poet Bhai Santokh Singh, doyen of the Nirmala Sect(2). It describes in sakhi (anecdotal) style the lives of the nine Gurus after Guru Nanak Sahib and was completed in 1843. It is recited regularly in gurdwaras and is popular with preachers and Sikh historians alike. The Nirmala tradition interpreted Sikh ideology and episodes relating to the lives of the Gurus through the lens of Vedic literature. Accuracy of events and correct dates was given lower priority. Many would regard any questioning of the strong Vedic influence or the accuracy of the episodes described in Suraj Parkash as poetic as well as religious sacrilege. In contrast were the records kept by generations of Bhat scholars and poets and Panda genealogists. Their livelihood depended on keeping an accurate record of important events and dates. They were not preachers and had no reason for any ideological bias. Many Bhats became dedicated Sikhs of the Guru. Some Bhats wrote poetic eulogy of the Gurus and described Guru succession up to Guru Arjan (Fifth Nanak). Their compositions were sanctified in Guru Granth Sahib as Bhat Bani. Thus, it can be said that the Bhat records enjoyed recognition by the Gurus. Later records kept by the Bhats about the Guru families and important episodes, including rites of passage, can be cross-checked with Panda vahis, and give much more reliable contemporary evidence than Nirmala literature. Therefore, although this is a topic which should be approached with caution, in recent years, due to research by scholars like late Prof. Piara Singh Padam, contemporary records kept by the Bhat poets and Panda genealogists have been made available to research students. One historical source is Guru Kian Sakhian by Bhai Sarup Singh Koshish and published by Prof. Piara Singh Padam. This is an invaluable source for cross checking dates and events and enables more objective interpretation of these. In his introduction, Prof Padam points to the need for further research into the dates of birth of some Gurus, including Guru Gobind Singh. For example, it would certainly affect our interpretation and understanding of Guru Gobind Singh’s response to the many challenges he faced when he succeeded Guru Tegh Bahadur as the Tenth Nanak, if we knew with some certainty that he was a few years older at the time than traditionally believed. As late Prof Piara Singh Padam noted in his introduction to Guru Kian Sakhian, contemporary evidence of Bhat Vahis needs further research to determine the dates of birth of the Gurus. It is probable that both, Guru Hargobind and Guru Gobind Das (initiated as Khalsa, Guru Gobind Singh, at the Khalsa Vaisakhi of 1699) were some years older than traditionally believed when they succeeded to Guruship. Regarding Guru Gobind Singh’s date of birth, evidence of Sakhi number 14 in Guru Kian Sakhian is relevant: “Sri Tegh Bahadur ji, at the age of 35 years, on the day of Samat 1713 Asad Sudi Ekam started his tirath yatra ( pilgrimage) from Kot Guru Har Rai. When Sri Guru Har Rai ji passed away he [Tegh Bahadur] with family was in Patna. Here on Samat 1718 Pokh Massay Sudi Saptmi on Wednesday Gobind Das was born. Being far away from Punjab he did not get news of the demise of Guru Har Rai ji sooner. For that reason he came to Delhi and then Punjab in 1721 to condole with the family.” (translated from Punjabi by the author). A rough conversion of the Bikrami (Indian calendar) years mentioned above gives year 1656 CE as the year when Tegh Bahadur started the tour of north-eastern Indian subcontinent, year 1661 as the year of birth of Gobind Das (Guru Gobind Singh) and year 1664 as the year when he returned to Punjab via Delhi. Prof. Piara Singh Padam confirms that this was a prolonged tour and Guru Gobind Singh was born during the later part of this tour at Patna on Poh Sudi Saptmi in year 1718 Bikrami. That gives Guru Gobind Singh’s date of birth as 18 December 1661(3). When Guru Tegh Bahadur returned from his preaching tour of north and eastern India by 1670, the family stayed together at Lakhnaur, a town near Ambala in Haryana, for some time and later toured the Malwa and Bangar countryside (south and east of river Sutlej). Gobind Das accompanied him on these preaching tours and was in his early teens at the time if Bhat Vahi evidence is accepted. Before that he had experience of the moving vaheer(5) for some months when travelling from Patna to reach Lakhnaur on 13 September 1670. He was deeply touched by Guru Tegh Bahadur’s Bani as the latter took Guru Nanak’s egalitarian message far and wide to the ordinary people. He discussed the plight of the Brahmin representatives led by Kashmiri Pandits with Guru Tegh Bahadur before his departure for Delhi to meet emperor Aurungzeb. He fully understood the nationwide impact and far-reaching consequences of Guru Tegh Bahadur’s unique martyrdom. By that age, he would also have been well trained by the Guru Tegh Bahadur himself in the use of arms, horse riding and hunting(6). The Guru had excelled at the battle of Kartarpur at the age of 14 years in 1635. Chronicles show that he had always kept up his interest in hunting and the use of arms(7). In fact, he was out hunting with some Sikhs when he was first arrested at Dhamtan on 8 November 1665. Young Guru Gobind Das(8), initiated as Guru Gobind Singh on the Khalsa Vaisakhi Day of 1699, took over the great responsibility of Guru Nanak’s gaddi (seat of Guruship) as the Tenth Nanak, following the martyrdom of his father, Guru Tegh Bahadur, at Delhi in 1675. His grandfather, Guru Hargobind (Sixth Nanak), too had faced similar challenges on accession to the Gurgaddi following the martyrdom of his father, Guru Arjan, in 1606. In both cases the need was felt to protect the garden of Sikhi with the spiky fence of arms. The strategy followed by Guru Gobind Singh was to energise a downtrodden people by reminding them of their great heritage. He decided to awaken the dormant spirit of the ordinary people by making available to them in common language the Vedic literature (ancient Hindu literature) about the great deeds of their own Indic folk heroes: the mythical gods and goddesses, who (in their belief system) were the forces of good who had fought and destroyed the forces of evil(9). Encouraged by him, scholars and poets flocked to him write poetry and literature in people’s language. This was a sacrilege for the Brahmin because, hitherto, Vedic literature was in Sanskrit and reserved for the high castes only. By doing this, the Guru would unite and rouse the masses and start a people’s freedom movement. However, he was well aware that in the process, in addition to the Mughal rulers, he would also antagonise the priests and the kings of the very people he was trying to help. Therefore, it is not surprising that the first test of his armed resistance was against the hill chiefs who had forgotten their true dharam (duty) to protect and look after the well-being of their own people. He denounced the priestly class, the biprans, who misled and exploited the ordinary people. Guru Nanak Sahib had liberally used Vedic folklore and popular idiom in Gurbani, albeit, imparting new meanings. While making Vedic literature available to the people, Guru Gobind Singh made it absolutely clear that he himself was the worshipper of the One Who was outside the cycles of birth and death (Aad ant ekai avtara). He had heard of but did not recognise (worship) the Vedic avatars, gods and goddesses. The literature associated with Guru Gobind Singh should be seen in its proper context as above, as a means of awakening the people to their own past which showed the triumph of good over evil. However, he made it clear even in that literature that his own path did not follow the old ways and that he was the servant of none other than the One Timeless Unborn Creator Being. Yet, in another sense, the Vedic literature made available in common language exposed the ancient myth and lore to the scrutiny of the more discerning. Many decided to join the expanding ranks of the Guru’s mar-jeevra (reborn) Khalsa. From Guru Nanak Sahib onwards, the Guru Jote (divine Light) warned that Sikhi demanded one’s ego-centric head! Sikhi was a challenging and difficult path of love and sacrifice to follow. A Path of detachment and yet fully participative in the Creator’s world-play. It was about social activism and it unequivocally rejected the opt-out lifestyle of the Indic systems. As the true successor of Guru Nanak Sahib, the Guru was the chosen instrument of the Timeless Being with the mission to destroy evil and to protect the saintly and the downtrodden. Presented in these terms, a parallel connection between his mission and the deeds of the ancient Indic heroes was made in the people’s psyche. It motivated them to make great sacrifices under his lead in their just war against subjugation and all sorts of persecution. Guru Tegh Bahadur’s teachings and supreme sacrifice for the universal right to follow one’s chosen religious path had left a deep impression on Guru Gobind Singh. While Guru Tegh Bahadur’s teachings bear witness to the truths enunciated by Guru Nanak and his successors and the conformity of Guru Tegh Bahadur to their religious ideology… there is a new dimension, a new note of urgency, and a sense of intense concern…Life is short; it hastens away; but it provides opportunity for those who would take it. Participation without entanglement is ideal, which can be realized only through conquest of fear. The idea is not altogether new, but the insistence is. The Sikhs are asked to acknowledge him alone as truly wise who is not afraid of others and who inspires no fear in others. Himself prepared for the worst eventualities, Guru Tegh Bahadur wanted others also to face life with courage(10). For Guru Gobind Singh, his own mission had been made clear to him by his father Guru Tegh Bahadur as he made preparations to go to Delhi to confront emperor Aurungzeb with his policy of religious bigotry. Guru Arjan Sahib also had instructed his son Guru Hargobind about the need for armed defence before he was martyred in Lahore in 1606. Similarly, Guru Hargobind had mandated his youngest son (Guru) Tegh Bahadur with the mission to revive the network of Guru Nanak’s sangats as the Guru’s Khalsa, a mission which he accomplished with total dedication but at the cost of his own life(11). Thus, such succession briefing became more apparent from Guru Arjan onwards to ensure next-steps continuity in Guru Nanak Sahib’s miri-piri (temporal and ideological) mission. However, it is clear from Bhat Bani that this tradition started with Guru Nanak Sahib when he passed on Guruship to Bhai Lehna as Guru Angad (Nanak II) and onwards. Guru Gobind Singh’s great grandfather, Guru Arjan (Fifth Nanak) and his father, Guru Tegh Bahadur (Ninth Nanak) had given one type of response to the bigotry of the rulers through their martyrdoms. He was destined to give another through armed defence. He would unite people from diverse backgrounds and turn them into invincible saint-warriors. The myth of Mughal superiority in the battlefield had already been exploded by the Sikh saint-warriors of Guru Hargobind in four battles. Thus, the ultimate choice for responding to the urgency mentioned in Guru Tegh Bahadur’s Bani, was clear to Guru Gobind Singh. Aurungzeb’s policy of converting all the sub-continent to Islam as one religion state was being ruthlessly pursued by overzealous regional commanders throughout the empire through forced mass conversions. Many Hindu sacred temples had been demolished. In addition there was a tax - the jizya - imposed on non Muslims, also referred to in Guru Nanak Sahib’s Asa ki Vaar(12). Yet, this massive threat faced by the young Guru belied the underlying strength of his heritage. As the successor of Guru Nanak, there was much which the Guru had inherited. The extensive network of Guru Nanak’s sangats had been already been revived by Guru Hargobind and Guru Tegh Bahadur. Physical fitness, marshal arts, swordsmanship and horse-riding had already become an established Sikh tradition progressively introduced from the time of Guru Angad (Nanak II) and continued by experienced tutors liked Baba Budha ji. 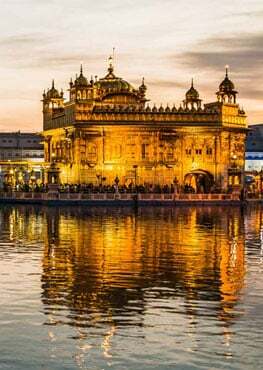 The Sikh fighting skills had been demonstrated in the battlefields of Amritsar and Kartarpur by the sahibzadas (sons) and the Sikhs of Guru Hargobind. In the Guru’s trans-caste people’s army, the lowest was equal to the highest. The Khalsa army had sustained supply of men and women (Singh-Singhania) warriors from different social backgrounds. Ordinary people sided with and willingly sheltered Sikh freedom fighters. The Mughal power, backed by a vast empire, was overwhelming at first but not sustainable over the decades as revolts broke out. Moderate Muslims too turned against the cruelty of the local nawabs. Egalitarian Khalsa institutions of langar, sharing, daswandh(13) and sewa (community service) sustained the Khalsa armies fighting the war of independence. They learnt about mutual interdependence as they fought for freedom from the invaders from the north-west collectively called the turaks(14). While the Guru had such a hostile array of forces against him, he also had many positive assets. His followers spread far and wide….made their offerings regularly, visited him at least once every year, and no sacrifice was too great for them in the Guru’s cause. Mostly small peasants, artisan and traders (though occasionally these also included sovereigns of state and rich merchants), their one aim in life was to achieve salvation through the Guru’s door by seeking his benediction. It is them that the Guru wanted to organise into a more cohesive, more determined, more self-sacrificing group, cutting across all intermediaries like the masands, and infusing in them the spirit of nationhood as much as spiritual hope(15). Emperor Aurungzeb had further antagonised the Brahmins who had sought protection from Guru Tegh Bahadur, thus also acknowledging him as the True Guru on Guru Nanak Sahib’s Gurgaddi. The circumstances of the well-publicised unique martyrdom of Guru Tegh Bahadur at Delhi for religious freedom, witnessed by the leaders of Islam, Hinduism and other religions and sects had sent a massive shock wave across the Indian subcontinent and beyond. Guru Gobind Singh was well aware of the great impact amongst the masses of Guru Tegh Bahadur’s martyrdom which had added a new urgency to resist Aurungzeb’s bigotry. These internal divisions amongst the followers of Guru Nanak resulted in small gurudoms with own masands (regional representatives or preachers) touting their own guru business. Yet, a response to these internal rivalries had already been started by the Gurus before Guru Gobind Singh. Guru Hargobind (Sixth Nanak) had already started the process of linking the sangats directly with the Gurgaddi as the Guru’s Khalsa(16). Later, the initiation of Khande ki pahul was introduced by Guru Gobind Singh on the Vaisakhi of 1699 when the full identity of the Khalsa was revealed. This was a setback for the gurudoms and deras set up by the rivals in the Guru family and the masands. Thus, they were confined mostly to Punjab north-west of river Sutlej. In later years, following the battles of Anandpur in 1704, the loyalty of the sangats in the Malwa area (south and east of Sutlej) ensured Guru Gobind Singh’s safe passage to Damdama Sahib and beyond. The process of impersonalising Guruship had in fact started with Guru Nanak Sahib. From the outset, the Guru preached the importance of Bani-Guru (Word Guru) enshrined in Guru Granth Sahib and Gur-Sangat (the holy congregation). Bhai Gurdas confirmed that the true image (moorat) of the Guru was the Guru’s Shabd, the Guru’s Word, or teaching. Guru Gobind Singh submitted himself to the collective will of the Khalsa by undergoing the Amrit initiation from the Panj Piaray (the Five Beloved Ones). 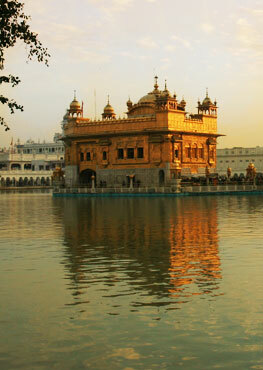 He proclaimed that the Khalsa was in his own image and represented him. He took up arms to resist tyrannical rule and to empower the ordinary people. He fought 14 battles between 1688 (Battle of Bhangani) and 1705 (Battle of Muktsar) against impossible odds to see the fall of the bigoted emperor Aurungzeb who died in 1707. He laid the foundation for the people’s rule in Punjab as the Khalsa raj in which all were equal partners. He sacrificed his whole family and thousands of his beloved Khalsa gave their lives willingly for his cause, but he always remained in Chardhi Kalaa (in positive spirit while accepting God’s Will). Truly there never was and never will be another like Guru Gobind Singh, the greatest saint-warrior of all times. (4) For further reading: Guru Tegh Bahaur: The True Story, by the author, published by the Sikh Missionary Society UK 2017. (5) A sizeable group of men, women and children moving along like a caravan with carts, luggage and animals with armed guards. Prominent Sikh preachers accompanied the vaheer which made prolonged stops at sangat centres in India. (6) More about Guru Tegh Bahadur’s keen interest in weapons and hunting in Guru Tegh Bahaur: The True Story ibid. (8) Hukamnamas of Guru Tegh Bahadur and the Bhat Vahis confirm Gobind Das as the Guru’s birth name and not Gobind Rai. (11) More about Guru Tegh Bahadur’s mission in Guru Tegh Bahadur: The True Story, by this author, ibid..
(12) Gaoo Brahman kau kar laavao Asa ki Vaar SGGS ang 471. (13) Daswandh is contribution of one tenth of one’s income for charitable causes. (14) Turak (derived from Turk) is described as the enemy in Sikh writings and should be understood as referring to the cruel invaders from the north-west who terrorised ordinary people of all religions. Otherwise, Guru Gobind Singh had many Muslim supporters and companions. Muslims joined the Khalsa to repel these plunderers and played a prominent role in the powerful Khalsa army of Maharaja Ranjit Singh (1780-1839). (15) Dr Gopal Singh Guru Gobind Singh, National Book Trust, India 1966, P.9. (16) Khalsa (a term derived from Mughal land law, as land belonging directly to the sovereign), were the Sikhs and sangats (congregations) who were directly linked to the Guru. They did not recognise the masands who were local preachers appointed by earlier Gurus, and who received offerings on behalf of the Guru. In time many started enriching themselves by keeping the offerings. Also, rival gurudoms appointed own masands. The whole system had become corrupt by the time of Guru Hargobind. Guru Gobind Singh punished the corrupt masands and abolished the system altogether by making all sangats his Khalsa..